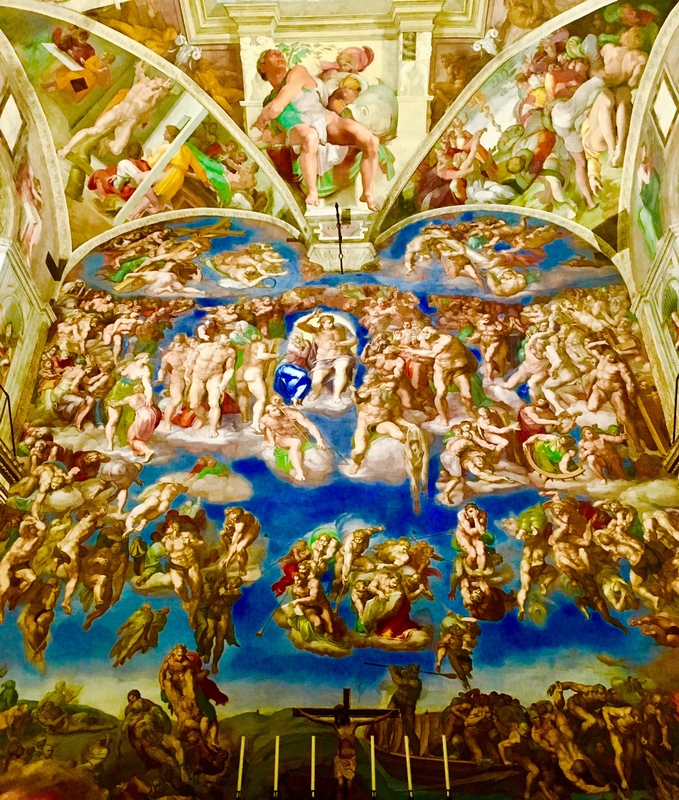 “The Last Judgment”, the altar painting by Michelangelo in the Sistine Chapel. The Vatican Museums. Rome, Italy. On the Italy tour. Mike Ross Travel.